We are thrilled to be featuring Stacy Taubman as this month’s Women Who Lead feature! I was lucky enough to be introduced to Stacy through a former coworker after he heard what I was doing with Be Digable. He said, “I know someone that is doing a lot for females in business in St. Louis.” Low and behold, Stacy and I jumped on a call and I was very inspired with what she was building. She was also kind enough to invite me on her podcast, Women on the Rise, to speak about Be Digable. Stacy is a thought leader in female empowerment and entrepreneurship. Before going out on her own as an entrepreneur, Stacy worked for 12 years in the academic world as a high school math teacher and earned Masters in both Administration and Counseling. In 2013, she founded Girls Dreaming Big, a tutoring and coaching company for teenage girls, which has impacted thousands of teen girls in the St. Louis area. In 2015, she opened her second company, RISE Collaborative Workspace. RISE Collaborative is both a workspace for professional women to conduct business and a curated community for women focused on growing professionally and personally. They launched their first location in St. Louis, MO and are about to launch their second space in Denver, CO.
Let’s dive in and get to know Stacy! Which females in business do you feel really paved the way for women today? You know I'm a huge fan of Sheryl Sandberg. Her TED Talk inspired me in so many ways and really set me on this path. I think she's doing great things for women. And while she's not a traditional business woman, I also think Brené Brown is someone who really paved the way for me. Her TED Talk was very impactful and her message about embracing vulnerability, shame, and resilience are all things that you need as a woman in business. What is the best advice you received on how to lead a team/run a business? There are no unrealistic goals, just unrealistic timelines. I'm such a go-getter and sometimes I feel like I set these huge outrageous goals and try to get a lot of these things done. I used to beat myself up over it, thinking I can't believe it took me this long to complete some of those goals. But it's just that it took a lot of work. How do you keep your team(s) engaged and motivated? I think the big thing is that your team understands your vision and feels apart of it. I think I'm lucky because I have an amazing group of women by my side that really believe in what I'm trying to do. They have all stepped up and are really the reason I'm here today. They also understand the grander vision and want to be apart of it. I think it's about clearly articulating what the big picture is—where is the company going and how can they potentially be apart of that growth and that grander vision. What is the biggest lesson you have learned leading your team/company? I think it's getting really clear who you are and who you are not as a company. I think when you're starting out you are trying to be of service and trying to be everything to everyone. While that sounds great in theory, you are not leading anyone. I was really nervous about trying to have every membership level. We were trying to cater to every woman's needs, and in theory it sounds great, but the reality is it was driving us crazy. And when you don’t know who you are, your customer doesn't know who you are. When did you start looking at yourself as a leader or realize you could lead? I'm still trying to embrace it. I think it is when we got Rise Collaborative up and running in January 2017. Everyone would start saying, "Aren't you so proud of yourself, you created this!" I have imposter syndrome. I can remember I won this award, but thinking I shouldn't have gotten it because we had just opened. I felt that "they are going to find me out” kind of thing. I'm still working on this one. We believe in the importance of personal branding because it allows leaders to extend their influence from offline to online—why is your personal brand important to you? Going back to what I said earlier, it is really important for people to know who you are and what you stand for as a company. A company needs a brand, just like a person needs a brand. What do you stand for? What are your values? And what are you all about? You can then communicate it across all channels, in person, online, everything. What advice can you give women who want to step into leadership roles, but are intimidated by the challenge? I think it is a couple things, first doing some self work and figuring out who you are. I think one of the things that makes me a good leader is that I have done the work. I got my Masters in Counseling. When you get your Masters in Counseling you are getting counseled as well and working through those triggers and bringing more self awareness. Thanks again to Stacy for taking the time to share her experience and insight! You can learn more about Rise Collaborative here and follow Stacy on Instagram here. To learn more tips on Personal Branding and our mission to empower women in business, follow Be Digable on Instagram, Facebook, Twitter, and LinkedIn. As I have been building up my business, I have immersed myself in the world of entrepreneurship. I have followed fellow business owners, podcasters, educators, and more. I have been fortunate enough to learn from and be inspired by incredible women who have created thriving businesses through following their passions. Two women I have followed closely are Amy Porterfield and Jenna Kutcher. Through their podcasts, I feel I have taken a class in business and entrepreneurship this past year. A couple months ago, Jenna posted about the fact that she was going to be a keynote speaker at Camp Climb—a camp for female creatives. I was instantly intrigued! 1) I always wanted to go to sleep away camp growing up and 2) I was seeking community with fellow female creatives. For weeks, I couldn’t get the idea of Camp Climb out of my head. I was in LA and Camp was in Iowa, should I go? I took the leap and bought my ticket. Go to where you will be supported—When you are dreaming and creating something new, make sure you seek out a community that will lift you up. I am extremely fortunate to have supportive family and friends. However, it is crucial that you also have support and/or mentors that have walked a similar road and can relate to your journey. To be around so many other women who are in the same or similar situation as I am, it reminds you that you aren’t alone and inspires you to be and do more. Take time to go outside your bubble—I can’t stress this enough, going outside your comfort zone is the best thing you can do for yourself. Going from LA to Iowa, without knowing anyone, reminded me that it is important to learn from others. The reception of the campers was humbling. Everyone was extremely kind and generous. Make it happen—Sometimes we tend to overthink our ideas or second guess ourselves. Seeing what Emma Hicks, Founder of Camp Climb, created with Camp was very inspiring. To think she had the idea and put it together and made it happen, reminded me we can never dream too big. I think she had the idea and put it together within a year. I am so grateful she brought us all together! Emma is a fabulous event planner with an incredible attention to detail and shout out to Mariah Danielsen for the incredible branding. Get off Instagram and connect in real life—In our world of social media, it is easy for us to live through our Instagram accounts. Making our lives look pretty or admiring someone else’s life. No matter how much technology advances or how much we enjoy these new platforms, nothing can replace getting out and meeting and connecting in real life. Connecting in real life is where the magic moments happen. I am thankful to everyone I met and for everyone that I was inspired by from afar. I am very excited about the future of Be Digable and I look forward to connecting with more business owners. My goal with Be Digable has always been to elevate females in business and I look forward to building and growing. So many ideas, I gotta get going! If you are interested in Camp Climb, make sure to check out www.gocampclimb.com, they have already announced their 2019 dates and first speaker! 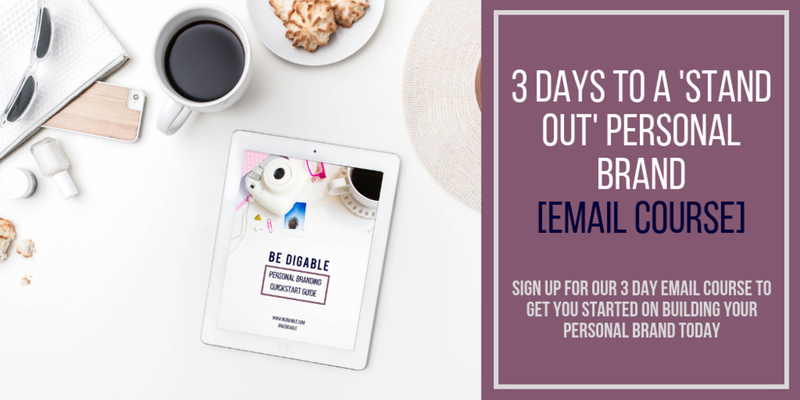 Be Digable empowers women to own their stories, further their careers and position themselves as thought leaders by providing them the roadmap and tools to build their personal brands. Sharing ideas, tips, inspiration and stories to empower you to strengthen your personal brand. Sign up for weekly emails filled with resources, tools and inspiration curated for you.